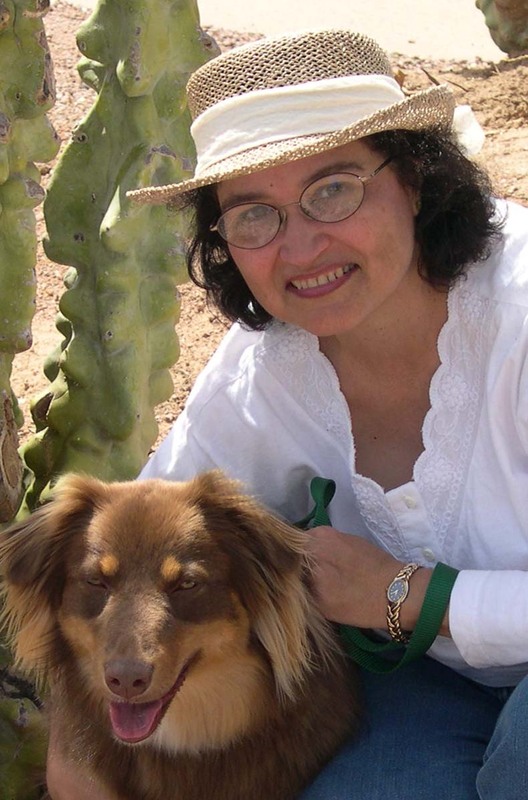 Sheila Webster Boneham: Artsy Fartsy Friday: Hawaiin Quilting Bee Mysteries! Artsy Fartsy Friday: Hawaiin Quilting Bee Mysteries! My two favorite hobbies have always been reading and sewing. Over the years my preferred style of needlework has varied, changing from knitting to embroidery to needlepoint to quilting. So when I began to write, I wanted to incorporate stitching into my stories. Therefore, I’m delighted to be writing the St. Rose Quilting Bee Mystery Series. In my latest addition to the series, I take the Quilting Bee women to Hawai`i for a seminar—thereby getting to include my favorite of all, Hawaiian quilting. 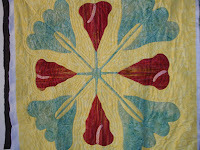 I was born and raised in Hawai`i, so it’s natural for my preferred style of quilt making to reflect my early background. Hawaiian quilting is a completely unique style whereby the applique top is cut out like a giant paper snowflake. No one is certain exactly how it developed, but there is a theory that since fabric was rare and expensive in the islands and the native women did not have scraps to work with, they developed this beautiful way to show off their creative skills. 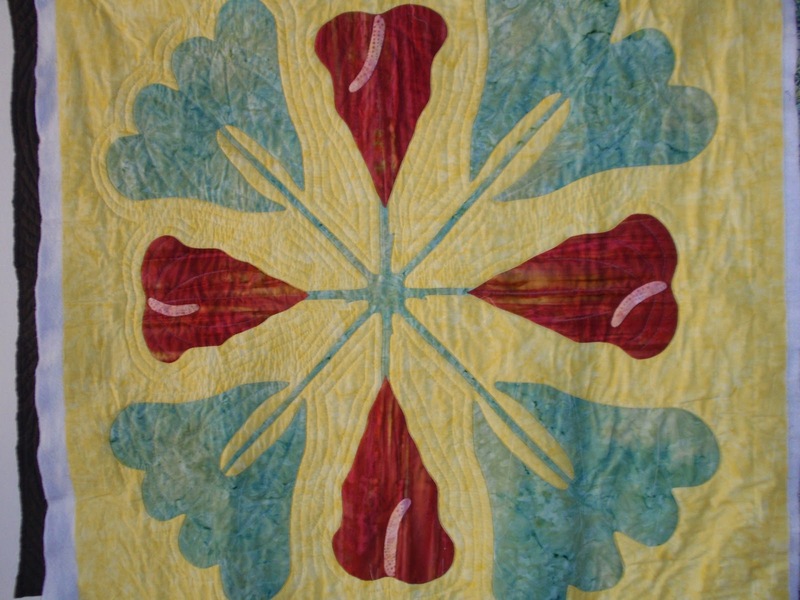 This photo of a mango quilt I made some years ago is typical of the style. It is appliqued but not yet quilted. 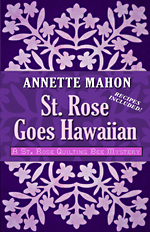 Putting in the quilting bits was the fun part of writing St. Rose Goes Hawaiian, the fourth book in the St. Rose Quilting Bee Mystery Series. There is a murder, of course, and as usual my group of amateur sleuths works things out while they stitch on their quilts. They travel over the island to get their inspiration, then design their own patterns. Meanwhile, they are trying to discover who murdered the philandering husband of the woman who runs the bed and breakfast and provides the quilt lessons. I try to do a quilt to go with each of the mystery books, and the quilt for St. Rose Goes Hawaiian is the one my main character, Maggie Browne, creates at the seminar. I’m still working on the wall hanging, so it’s not quite finished, but it shows an obake anthurium in the traditional Hawaiian quilt style pattern. My mother was an enthusiastic flower gardener; I took this photo of her obake anthurium to show those who are not sure exactly what it is. 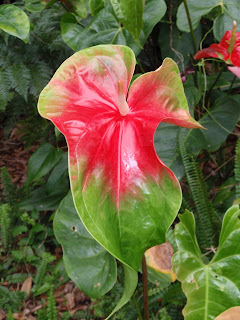 Hawaiian quilts generally show off the local plant life. They rarely depict animals or people, though modern quilt patterns of marine life are very popular. Colors are bright and black is rarely used. The cover of St. Rose Goes Hawaiian features one of my original designs for a plumeria wall hanging done in pink on black. There was a particular reason for the color selection, but when I show it I always mention the superstition about black fabric. I am currently working on the next St. Rose Quilting Bee Mystery, and pondering what quilt patterns should be mentioned in it. It’s not an important part of the story, but I enjoy considering the various patterns and trying to see which one might make a good original wall hanging for me to take to the next book signing. What a great topic for a mystery series! I love getting to put quilts into my stories. Mahalo. As for the spelling of Hawai`i...there is an effort to spell things correctly these days, and that means an okina between the two Is in Hawai`i. The okina is pronounced as a slight hitch--like the hyphen in oh-oh. Quilting is an art form I much admire. Congrats on your latest Five Star novel. Beautiful quilts and I enjoyed learning about Hawai'an quilts. Loved the photos, too. Thank you, Jacqueline and Anna. There's nothing like being able to incorporate two interests--quilting and writing.